Our photographer was visibly shaken and turned pale after taking this photo. 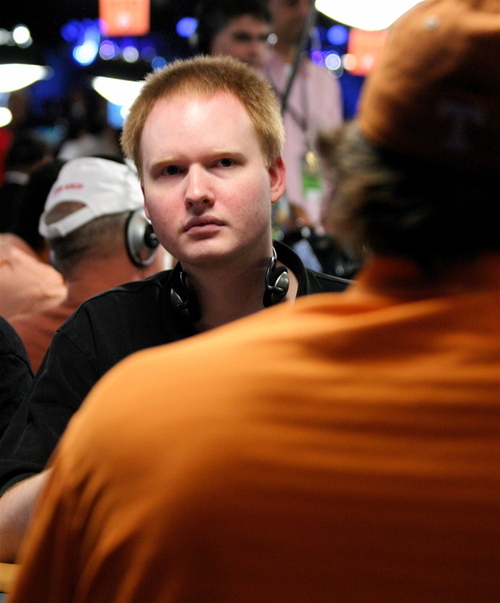 Congratulations Jon “Pearljammer” Turner, a ginger, you’re our first ever two-time WSOP Ginger of the DayTM, and you now lead our 2008 WSOP Ginger POY race and are in good position to be The Last Ginger StandingTM at this year’s Main Event. All things that would make you proud . . . if you had a soul.